Colleen is square. And by square, I mean … well, square. She likes things to match. To be even. To be in their place and be symetrical. Things need to be logical and make sense. None of this willy nilly slap dash “oh that’ll do” lick and a promise for her. No sir. Therefore, the Bamboo Stitch Scarf, that is our free pattern this month, has been revised a bit (again) to make darn good and sure that the final 4 rows are indeed perfect. That they match the first 4 rows by golly. And tho I make light of Colleen’s need for perfection, really I am in awe of it. The sheer tenacity she displays in her quest is downright inspirational. And of course the end result is very satisfying, as always, with everything Colleen puts her hand to. So feel free to knit away with the comforting assurance that any imperfection has been brought to light and Colleen has diligently worked her magic for us. So…take a look at the pattern again. If you are still in the process of knitting the scarf, consider the new ending. I think you will be much happier with it. You’ve gotta see um to believe um! Every Saturday at the Full Circle Cafe’, Colleen serves up homemade, from scratch, BIG & BEAUTIFUL CINNAMON ROLLS AND PECAN STICKY BUNS. These are the real deal folks and not some funky version of monkey bread or buy um frozen, bake um off and call it homemade buns. Colleen’s buns are mixed with fresh ingredients and kneaded by her own gifted hands, sprinkled and rolled, sliced and set to rise every Friday night, rain or shine, not matter what! Saturday before the sun is up, Colleen is back in the kitchen, warming her little oven and baking those big fluffy buns to golden perfection. Sometimes Colleen makes more on Sunday…often she doesn’t. So don’t dilly dally. Either call ahead to reserve yours on Friday or make a date to be here early Saturday! 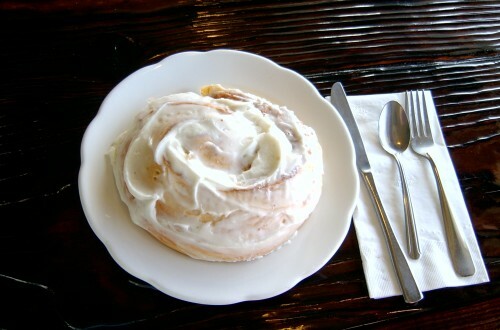 Time and buns wait for no man. Tender mouthwatering Cinnamon Roll gently topped with cream cheese icing. 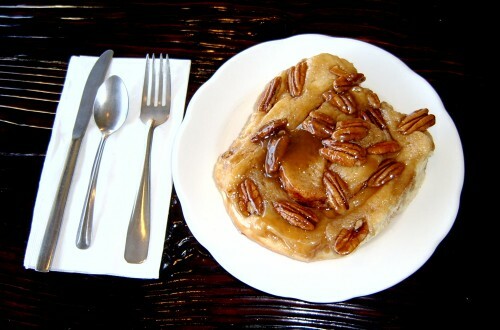 Big and tender Pecan Sticky Buns drip with carmel and loaded with nuts. But I bet you already noticed huh 🙂 The view from here is breathtaking, blue water, white surf, clean crisp air. Life just doesn’t get any better than this. Take a walk, breath deeply, then get ready to start knitting again! We have several festivals which we are reserving space at and if you want to be in on the action, talk to Colleen. The sooner the better. The Yarn Dude has ordered lots of new books, patterns and yarn to inspire and excite all of us. How about this great inexpensive project? 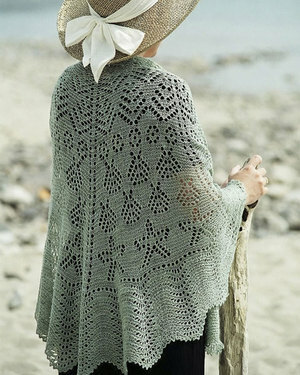 This is Fiber Trends Seascape Shawl by Evelyn A. Clark. It is a lovely design of cone shells, sand dollars, scallops and starfish in the shallows by the waves of the sea. I suggest doing this in our soft shell pink Merino Lace laceweight yarn. The pattern sells for $6.50, the yarn for $13.99. So your total investment in this project is $20.49 plus tax! The shawl is worked on a size 6 circular needle so it is a fairly decent size too! Come on in, let’s get started! Our heads are still spinning and weaving! As always, we had a great time this past week-end with the Clatsop Spinners and Weavers here at the store! What a friendly and informative group of ladies. They brought looms and spinning wheels, roving and hand spun yarn, and produced intricate weaving projects right before our eyes! There was a good turn out of people who came to see what spinning and weaving is all about. From the very young to the not so young, people of all ages came. 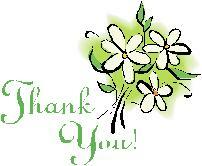 Thank you ladies of the Clatsop Spinners and Weavers. We all have them…we say it’s because “you never know when I’ll need an extra”…and nobody could possible expect us to remember which ones we have and which ones we need…the excuses are as many and varied as colors of DMC floss. Yes, I’m talking about needles and hooks. Personally, I no longer discuss how many size 8 needles I own. It’s really nobody’s business. If you can relate to this subject then I am your new hero! I have found a gem of a site that provides, free of charge, an inventory sheet so we can all get a handle on our needles! Gary has been telling me for years to write them down on a slip of paper and stick it in my purse…you think I’ve done it? Heck no. So why do I think I will do this? Because it’s not only a needle inventory! This kind soul has also provided beautiful and thoughtfully designed journal pages, project planner, yarn stash inventory, notes page, even graph paper to get those ideas down on paper! I can’t resist. Anyway, check it out at http://kathrynivy.com/patterns/extras/knitting-journal/ Then, after you get your needle inventory done, bring in those extras to Knitting Group and we’ll have a needle exchange. See you there! Good Morning out there…I’m here, with cold, cold hands, trying to form a coherent thought. Let’s see, what I wanted to tell you about is Colleen’s lastest “thought”. She’s always saying to me “Maria, I was thinking….” and then we’re off on another great idea of Colleen’s! So here is one of her latest. Dice. Yep. We have this friend/customer, that we call Fomoco. We call him this because that is what is on his license plate on his darling little turquoise Thunderbird convertable. Its a collectors car but I couldn’t tell you the year. It’s just really really cute. This gentleman sells dice for cars and other vehicles. You know the fuzzy dice that hang from your rear view mirror? Not that kind, the kind of dice that you can put on your door locks, valve stems, etc. to compliment the fuzzy dice hanging from your mirror. And Colleen thought “hmmmmm, dice that hang from your mirror…..I COULD DO THAT!” And of course one thing led to another and now we are going to not only make these dice (or something like them) but we are going to offer them or how to make them at various festivals around the area this summer. It goes without saying that these creations will be knitted and/or felted and/or crochet…so stay tuned for further details. And check out Fomoco’s website. He’s in our links to your right! Thank you to all of you who have brought in your blocks for the Warm UP America project! We have a good start but we need lots more block. Keep ‘um coming! If you haven’t joined our project, it’s not too late. Last month we announced our involvement in Warm Up America. Warm Up America was started in 1991 by a Wisconsin yarn retailer named Evie Rosen. Evie decided to help the homeless by asking her customers, friends, and community to knit or crochet 7″x9″ blocks that would be joined into afghans. And that is exactly what we are doing. We urge everyone to take a few minutes to knit a 7″x9″ block for this worthy cause. Please take time to create a block for Warm Up America!, and ask your friends to get involved, as well. Bring your blocks in to Tapestry Rose Yarn Shop between now and June. We will keep you posted on the date of our “Block Party” when we will gather together to put all the blocks together to make afghans. These afghans will be donated locally to needy people. Remember, just a little bit of yarn can make a big difference to someone in need! Basic patchwork afghans are made of forty-nine 7″x9″ rectangular Blocks that are sewn together. Any pattern stitch can be used for the rectangle. Use acrylic medium/worsted weight yarn and size 8 strainght knitting needles or size needed to obtain the gauge of 9 stitches to 2″.